Benjamin Holfield has created a brand new Arabic App that is sure to be of great use to anyone traveling around the Arab world. 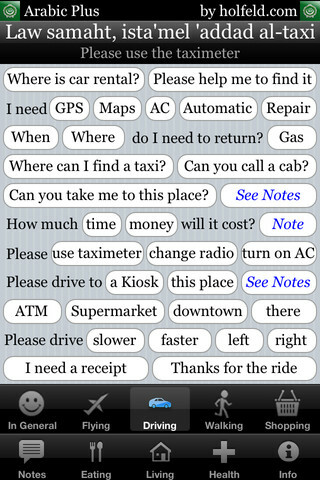 Includes an efficient note system to store all your travel notes such as names of people, places, WiFi Passwords and more. Imagine you are in Cairo, Dubai, Amman or Baghdad and want to find your hotel. 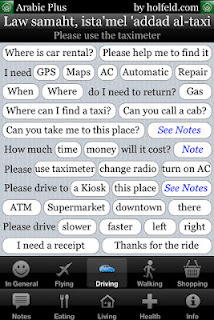 With this app you can ask anyone to help you, for example, find a taxi--and in the car you just need to show your notes, let the app speak, etc. and the cab driver knows where to go. 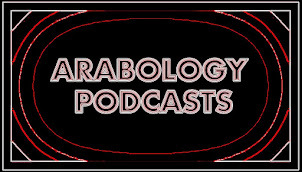 The audio recording is in Modern Standard Arabic so it will be understood in any of the 20+ Arabic speaking countries on earth and the audio quality is excellent. The voice is that of Arabic native speaker Ahmad Qousi who eloquently delivers Arabic phrases and words in a professional, direct and helpful way. For more, see features and screen shots below. Click here to view app, etc.